What does dad really want this Father’s Day? 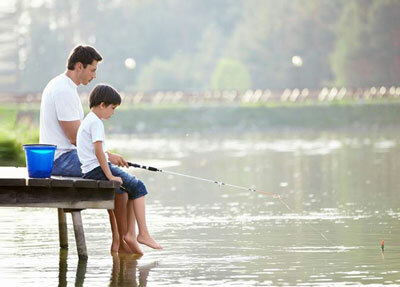 Kids of all ages usually have a special bond with their father. But figuring out what he wants can be difficult. Well, it depends on the dad! Is he a music buff? Consider getting him a pair of hip new headphones. Is he an avid runner or cyclist? He may enjoy a fitness tracker so that he can monitor his progress. When you were a kid, what did he like to talk about? This can be a good clue. Perhaps there’s a book or movie that would bring back some great memories. What are his favourite sports teams? Best player? What is his perfect kind of entertainment? Tickets to a baseball game, tickets to a rock concert, or movie night at home with pizza delivered? Does he like to cook a certain kind of food? Or have a special drink that reminds him of summer? Does he have a favourite place to eat? Is there anything he “just can’t get anymore”, but you can find it for him? Young Children – Think of something they can make or do for dad. Perhaps sing him a song they’ve prepared, paint or draw a picture and frame it. IDEA: Make dad his own placement! Once the artwork is done, take it to a local office supply store for lamination. School-age Children – Cook or bake his favourite treat (with supervision!) or take him on an “exploration walk” around the neighbourhood. IDEA: Write a story for him about his life (bind together into a booklet with pictures, or make it a photo story on a tablet/computer). Teenagers – Fathers love it when someone helps with a chore, or works on a project with him so he can get it done. It might be cutting the lawn or cleaning the BBQ. IDEA: Wash and “detail” his car! Perhaps leave a new accessory inside as a treat. Adult Children – In one poll, the top choice for a Father’s Day Gift was having dinner with his family. Pick his favourite food and gather everyone together. Dinner could include a short day-trip. IDEA: For family members who are out of town, have everyone join together by Skype at an arranged time. NOTE: According to one poll, he definitely does not want a tie. It even beat out underwear, followed by cologne, socks, and power tools. The top choice? Dinner with his family!